Plastic Solutions, Inc., GI Plastek Corporation and Precision Southeast, Inc. have combined to form PSI Molded Plastics. 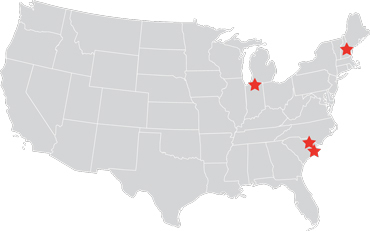 The new company with plant locations in the Northeast, Southeast, and Midwest has core competencies in both large and small part molding, finishing, as well as high and low volume manufacturing. Contact us today! 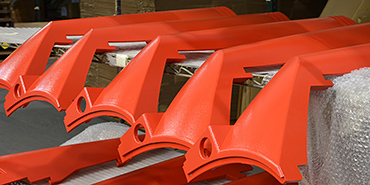 PSI Molded Plastics supports small to medium part applications with over 75 presses ranging from 22 to 450 tons. Additional in-house services include product development, engineering, assembly, painting, EMI shielding, applied graphics, and printing. We will work directly with you, or through your design firm, to ensure your product is optimally designed. More On Small Part Molding . 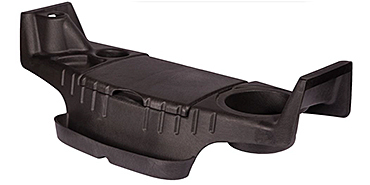 . .
PSI Molded Plastics supports large part applications with 26 presses in the 450 ton to 1,574 ton range, plus Structural Foam Injection Molding and Gas Assist Molding. 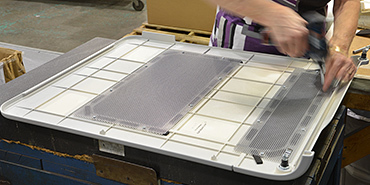 We help customers streamline their manufacturing by providing value-add assembly for their products. This single source capability allows us to bring our customers' products to market in the most cost effective way. More On Large Part Molding . . .
More On Secondary Processes . . .
More On Markets Served . . . Structural Foam molding produces thicker plastic parts with cellular cores and rigid outer shells yielding products with very high strength to weight performance. 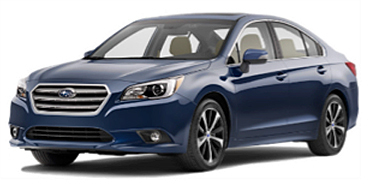 Benefits include lower weight, lower material cost and greater design flexibility. We offer structural foam parts up to 25 lbs. More On Structural Foam . . . In Gas Assist Molding nitrogen is injected into the plastic to create channels. This results in a light-weight, hollow tube like structure. Benefits include greatly increased strength through design structure, decreased cycle times, reduced material and lower overall costs. More On Gas Assist Molding . . . Plastic Solutions, Inc., GI Plastek Corporation and Precision Southeast, Inc. have combined to form PSI Molded Plastics. 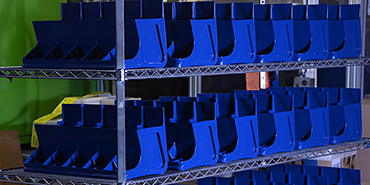 The new company with plant locations in the Northeast, Southeast & Midwest has core competence in large and small part molding as well as high and low volume manufacturing. © 2018 PSI Molded Plastics. All Rights Reserved Worldwide.